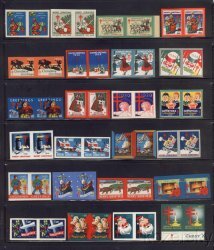 Saint Crispen U.S. National Christmas Seal Stamp Album, Imperforate Seals, 1917-1997. New, album pages printed on 8.5"x11" acid-free 80 lb. card stock. Twenty-five (25) pages, provides spaces, as required, for Imperforate Seals and those years that require full sheets. Saint Crispen U.S. National Christmas Seal Stamp Album, U.S. Imperforate Christmas Seals 1917 to 1997. Twenty-five (25) pages, provides spaces, as required, for Imperforate Seals and those years that require full sheets. 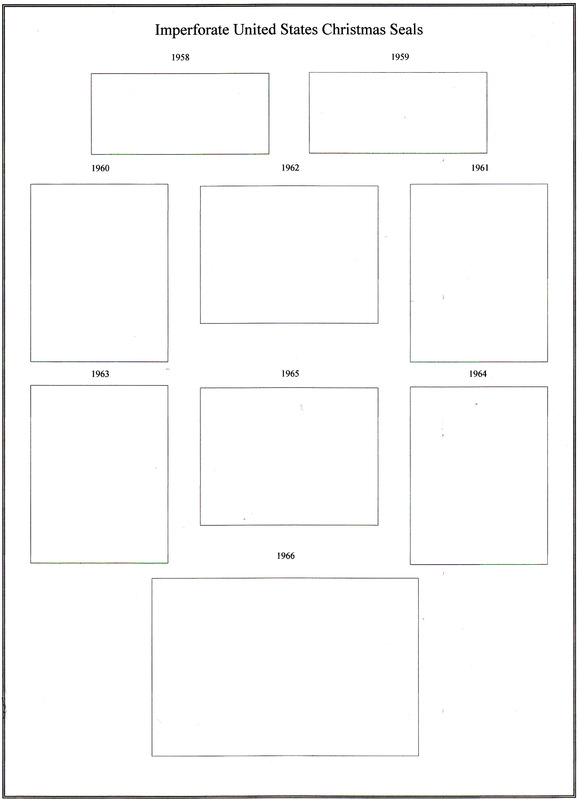 Blank, borderless, unpunched, dated pages,are included for those years that require full sheets (1970, 1975, 1976, 1977, 1978, 1979, 1980, 1995, and 1996). Sheet protectors are required and not provided for the full sheets of seals. Imperforate Seals are usually collected in pairs from those sheets that have no perforations or rouletting at all. Proofs and essays are most usually imperforated. The last year that Imperforate Seals were printed was 1997. Printed on acid-free 80 lb ivory, white, or light gray card stock, square corners, with holes punched to fit a standard 3-Ring binder. Saint Crispen Stamp Albums are published by William J Kozersky, Philatelist. Matches the U.S. Christmas Seal Stamp Albums, both Basic and Advanced Albums, and Supplement; U.S. National Christmas Seal Stamp Album, Blank Pages; U.S. Local Christmas Seal Stamp Album, Blank Pages; and the Canada Christmas Seal Stamp Albums.